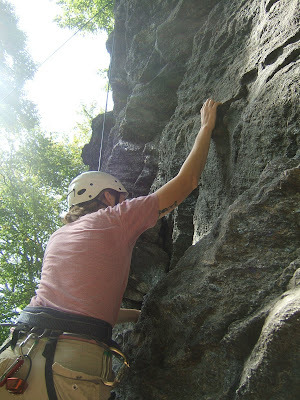 Yep, I went rock climbing! In the woods right next to my house...AND got on my bike for the first time this year...I am really sad about that. I am never going to let that happen again. I love the FALL!